Professor Sy-Yen Kuo is heading the Dependable Distributed System and Networks Laboratory in the Department of Electrical Engineering at NTU, which focuses on the research of dependable netowrks and systems, SoC design verification, and quantum computing and communication. Nowadays, more and more complicated development of hardware/software systems and wired/wireless networks has made fault tolerance a very important issue in designing information systems to provide services with high dependability and high availability. Among his current research interests are mobile computing and networks, dependable distributed systems, and quantum computing. Prof. Kuo has involved in many important research projects, such as Elastic and Dependable Internet-of-Thing Cloud Service Platform and Its Application in Productivity 4.0, Energy-efficient Data Management based on Software Defined Approach for Multi-tenant IoT Services in Datacenters sponsored by MOST, and Network Anomaly Detection Based on Machine Learning Approach sponsored by Institute for Information Industry. Sy-Yen Kuo(郭斯彥) is the Pegatron Chair Professor at the Department of Electrical Engineering, National Taiwan University (NTU), Taipei, Taiwan. He was the Dean of College of Electrical Engineering and Computer Science in NTU from 2012 to 2015 and the Chairman of Department of Electrical Engineering in NTU from 2001 to 2004. He also took a leave from NTU and served as a Chair Professor and Dean of the College of Electrical Engineering and Computer Science, National Taiwan University of Science and Technology from 2006 to 2009. 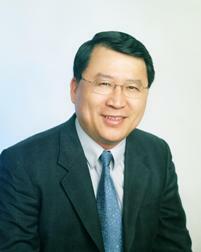 He received the BS (1979) in Electrical Engineering from National Taiwan University, the MS (1982) in Electrical & Computer Engineering from the University of California at Santa Barbara, and the PhD (1987) in Computer Science from the University of Illinois at Urbana-Champaign. He spent his sabbatical years as a Visiting Professor at Hong Kong Polytechnic University from 2011-2012 and at the Chinese University of Hong Kong from 2004-2005, and as a visiting researcher at AT&T Labs-Research, New Jersey from 1999 to 2000, respectively. He was a faculty member in the Department of Electrical and Computer Engineering at the University of Arizona from 1988 to 1991, and an engineer at Fairchild Semiconductor and Silvar-Lisco, both in California, from 1982 to 1984. In 1989, he also worked as a summer faculty fellow at Jet Propulsion Laboratory of California Institute of Technology. His current research interests include dependable systems and networks, mobile computing, cloud computing, and quantum computing and communications. Professor Kuo is an IEEE Fellow. He has published more than 400 papers in journals and conferences, and also holds 21 US patents, 19 Taiwan patents, and 10 patents from other countries. He received the Distinguished Research Award and the Distinguished Research Fellow award from the National Science Council, Taiwan. He was also a recipient of the Best Paper Award in the 1996 International Symposium on Software Reliability Engineering, the Best Paper Award in the simulation and test category at the 1986 IEEE/ACM Design Automation Conference (DAC), the National Science Foundation's Research Initiation Award in 1989, and the IEEE/ACM Design Automation Scholarship in 1990 and 1991.